Located in the Tower Wing, Tower Deluxe City guestrooms, which have either two double beds or one king-size bed, offer city views, while providing a setting suitable for relaxation and renewal. 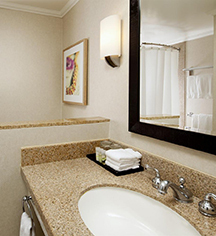 Featuring Westin's signature Heavenly Bed® and spa products, each room also provides a 32" LCD television, complimentary Royal Kona coffee and select Tazo Teas, refrigerators, and well-appointed granite baths. 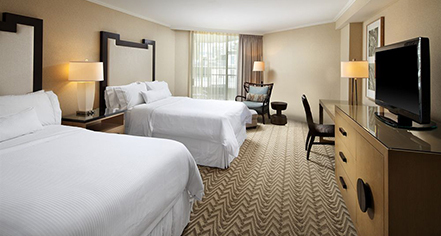 These guestrooms have private balconies and will accommodate a rollaway.